In line with an investment agreement concluded with the provincial and local authorities at the end of April, Continental is to substantially increase tire production at its Hefei plant in China. The agreement envisions gradual ramp-up of the current production capacity of five million car tires a year to 14 million units by 2019. Investments are also to be made in the bicycle tire segment, where production capacity in Hefei is to rise from its current level of two million units to 13 million tires by 2025. “Expansion of the plant forms part of our long-term ‘Vision 2025’ strategy in which, since 2011, we have systematically invested more than €2 billion in the establishment and expansion of global production capacities and high-tech projects for tires. It will increase the number of jobs at the Hefei plant from 1,150 at present to 2,700,” said Nikolai Setzer, Member of the Executive Board at Continental AG and Head of the Tire Division. To date, Continental has already invested €250 million in the Hefei plant and by the time the agreed investment plans have been realized the total will have surpassed €500 million. In the context of Vision 2025, along with the annual investments of some €350 million in its existing plants, Continental has earmarked a further €1 billion for the largest special investment program in the history of the Corporation, so that in total more than €2 billion is being invested in laying the foundations for long-term growth, particularly in the BRIC states (Brazil, Russia, India and China) and in the United States. 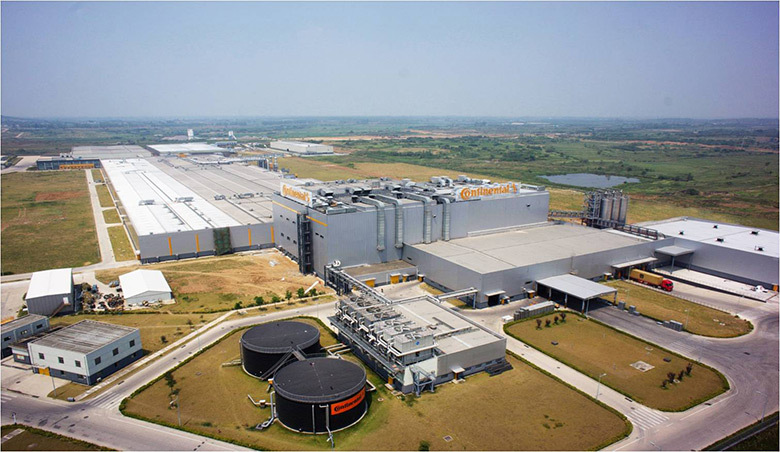 Continental’s Hefei tire plant was opened in 2011 and ever since the groundbreaking ceremony in 2008 the plant has maintained very good relations with the provincial and local authorities, as well as with the people of the region. Measures in this respect have included promoting education and research at the local university. One good example here is the recent appointment of Burkhardt Köller, Head of Finance and Controlling Tire Division and Managing Director of Continental Reifen Deutschland GmbH as a Professor at the University of Science and Technology China in Hefei, specializing in Finance, Controlling and International Management.